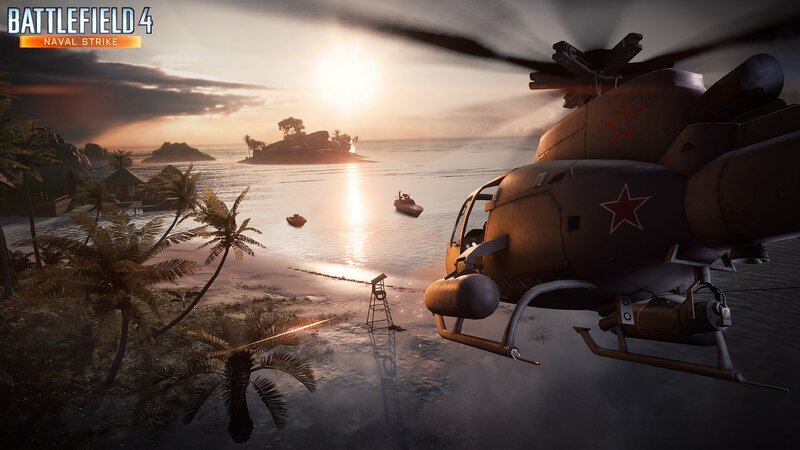 DICE has shared a few more screenshots from Battlefield 4: Naval Strike this afternoon. The images show off various scenes from the water combat-themed expansion coming in late March. Naval Strike introduces four new multiplayer maps set in the South China Sea. In Lost Islands, teams battle in fishing villages and a downed airliner. 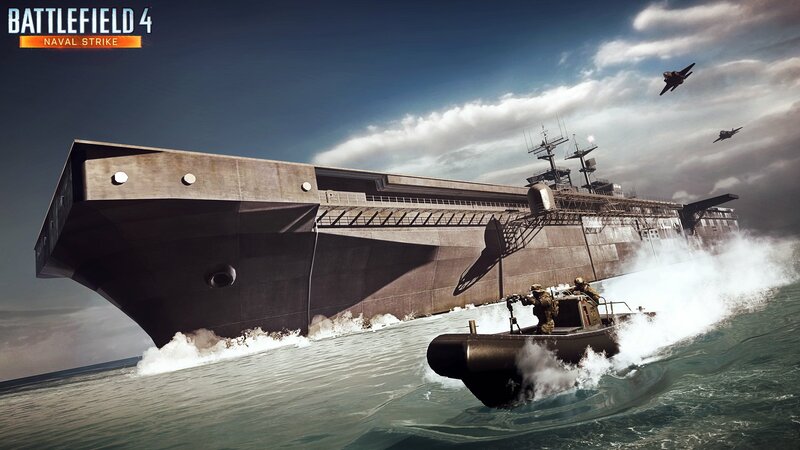 Wave Breaker brings the action to a naval base and nearby islands. Players will fight in and around a cliffside resort on Operation Mortar. Nansha Strike is said to feature the largest ocean stretch ever seen in a Battlefield game; it's a showcase for naval warfare, just as Battlefield 3's Bandar Desert promoted tank combat. Navigating the new maps will be easy with a new hovercraft. This vehicle will allow you to seamlessly drive across land and sea. The hovercraft seats only two players and has no onboard weaponry. It should be fairly agile, though. DICE says on the Battlefield Blog that Naval Strike owners will get new weapons and gadgets in time as well. They'll no doubt be unlocked through a fresh set of Assignments. Arguably the best feature of Naval Strike is the Carrier Assault mode. This mode is said to be inspired by Battlefield 2142's Titan mode. DICE hasn't explained the exact details of Carrier Assault yet but presumably it involves two teams trying to blow up each other's aircraft carriers. More information on this reimagined classic mode will be revealed soon. 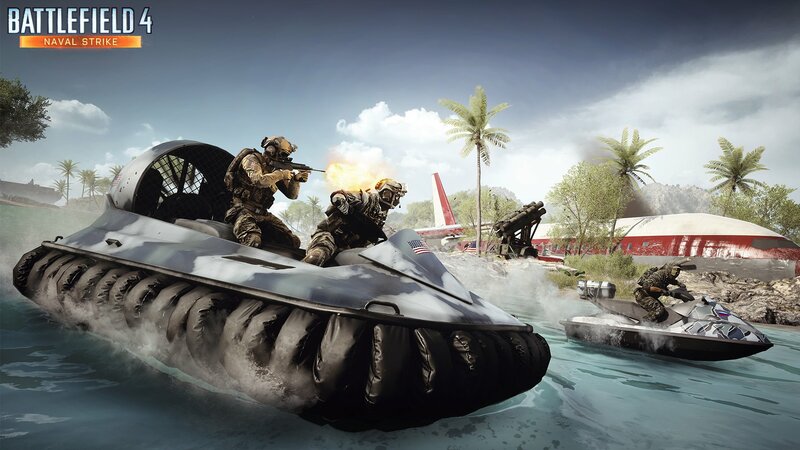 Naval Strike is the third of five expansion packs planned for Battlefield 4. China Rising, released in December, introduced four maps in the Chinese mainland along with the Air Superiority game mode and dirt bike. Second Assault provided remakes of Battlefield 3 maps and the Capture the Flag game type. Assault is available for all Xbox 360 and Xbox One owners, as well as Premium members on PS3, PS4 and PC. Non-Premium members on those three platforms will get the expansion on March 4th. The remaining two expansions are called Dragon's Teeth and Final Stand. Details are slim on both expansions at the moment. However, DICE mentioned in the past that Dragon's Teeth will center around close-quarters combat. Each expansion costs $11.99 to download. You can also get all five at once by purchasing Battlefield 4 Premium. Premium members get two weeks of early access to expansions as well as bonus Battlepacks and dogtags.